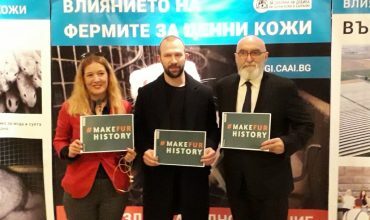 In recent years, Respect for Animals supporters have added their details to letters to ambassadors of countries including Bonsia-Herzegovina, Finland, Serbia and Ireland. A ban is now in place in Serbia and making progress in Ireland. You can and have made a difference. We’re now asking you to add your name to our letter urging the Icelandic government to stop taxpayer funded subsidies to fur factory farmers and to bring in a ban on this cruel and unnecessary practice. Five mink farms have closed in recent months in Iceland, bringing the total number of farms down to 13, plunging from 240 mink farms in the 1980s. 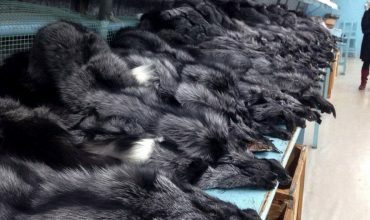 It has been recently reported that these farms are operating at such a loss that the value of each mink pelt is only around a half of what it costs to produce it. These farmers are now looking for big increases of government subsidies, in the region of 200 million Icelandic Krona a year. The farmers currently receive 30 million ISK from Icelandic taxpayers. Mink farms have caused big problems with local people in Iceland, a story common in many parts of the world. Landowners and summerhouse renters near a mink farm in Mosfellsdal have demanded that Icelandic authorities shut down the farm due to the heavy pollution caused by the farm. Toxic run-off from the farm runs down the mountainside and valley, uniting locals in protest against the site, who insist that the lives of humans and animals are put in danger as a result. 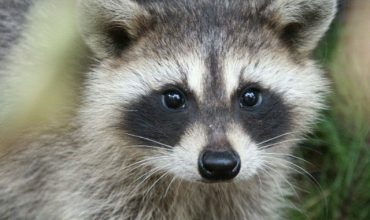 It is clear that animal welfare is unacceptably low on fur farms. The suffering of mink and fox held in fur factory farms has been scientifically and comprehensively exposed in the Respect for Animals’ report unveiled at the European Parliament. An in-depth scientific analysis, the report concludes: ‘It is impossible for the needs of mink and foxes to be met by the fur industry. A ban is the only viable solution to the serious welfare concern highlighted in this report.’ You can read the full report here at www.respectforanimals.org/report-from-respect-for-animals-makes-case-for-ban-on-fur-farming-in-europe/ . We are writing to urge the Icelandic government to stop taxpayer funded subsidies to fur factory farmers and to bring in a ban on this cruel and unnecessary practice. There is ample scientific evidence to show that mink and fox suffer in fur farms and that is why fur farming bans have been or are being introduced by many European countries. The current government support for fur farms could be used to encourage farmers to move to other more sustainable, non-fur farming practices. Fur is a non-essential fashion product which cannot be produced in an ethical way. Animals bred for fur are kept in tiny wire mesh cages for their entire lives and killed by inhumane methods. In today’s society, modern consumers are increasingly aware of the animal welfare problems on fur farms and are not willing to buy products of extreme animal cruelty. Consequently, an increasing number of international fashion houses are making commitments to drop animal fur from their collections. Fur farming bans are spreading rapidly across Europe. In July 2018, the Flanders government adopted a decree that bans fur farming and shortly prior to this, Luxembourg adopted a law that prohibits fur farming starting October 2018. Norway, once the world’s largest producer of fox pelts, voted to outlaw fur farming in January 2018. While five months earlier, in August 2017, the Czech Republic introduced a ban on fur farming that will become effective in 2019. These countries join the UK, Germany, The Netherlands, Croatia and Serbia as countries that have legislated to end the horror of fur production within their borders. We very much hope that Iceland will join the growing list of compassionate nations by banning the cruel, outdated and unnecessary practice of fur farming and that, in the meantime, government support for the failing fur farms is withdrawn and used to encourage alternative employment.